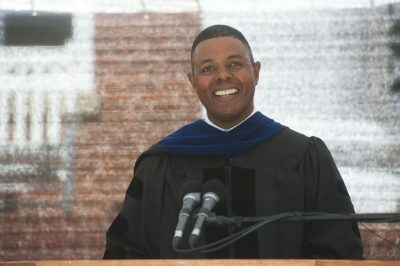 Twenty years after he graduated from University of Lynchburg, Dr. Christopher Boyd ’97 challenged the newest graduating class to “rise up” to the challenges and opportunities ahead in their lives. He shared two ‘rise up’ stories from his family. When he graduated, he left behind plans to be an admissions counselor for Lynchburg and accepted a job with a communications company. The fast-paced environment taught him many lessons that he now applies as an executive pastor. His wife, Jennifer Mul-Key Boyd ’95, decided upon her graduation that she did not want to pursue medical school and followed an inner passion for teaching. “Now for nearly 20 years my wife has been serving the needs of students as an educator in the greater Atlanta community, and she hasn’t looked back,” he said. Dr. Boyd advised the students to rise to the occasion with three verbs: learn, live, and love. Earlier in the program, Nancy Letcher Hammersley ’79, ’82 MBA, vice president of the University of Lynchburg Alumni Association, welcomed the graduates to the alumni family and reflected on the impact that they have had on the life of LC. She encouraged the new alumni to to get involved in the Alumni Association and stay connected with each other and the College. “Legacy exists only when it is nurtured,” she said. 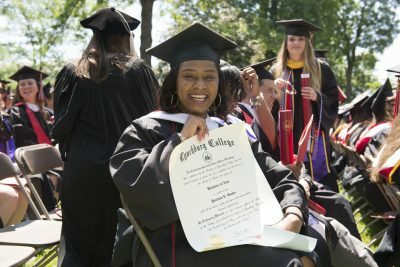 View a recording of Commencement 2017. 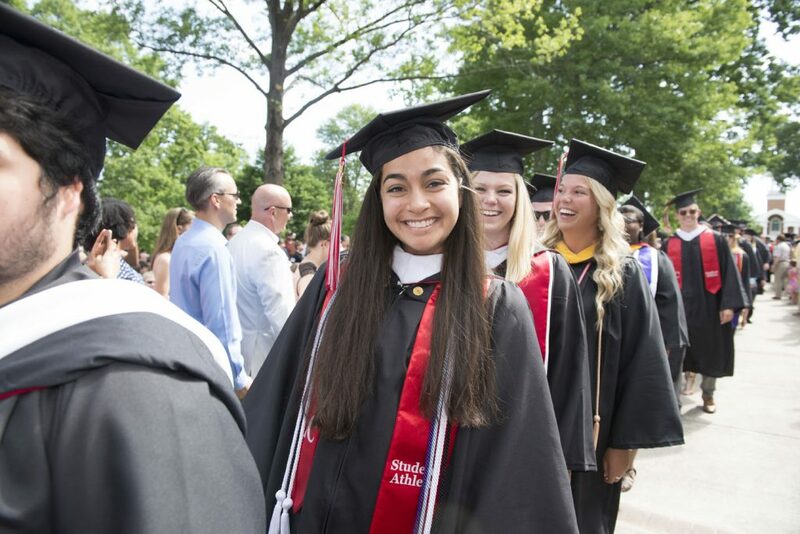 Find Commencement photos on Facebook. Read coverage and view more photos in The News & Advance.